The day has finally arrived for me to show off my finished quilt! 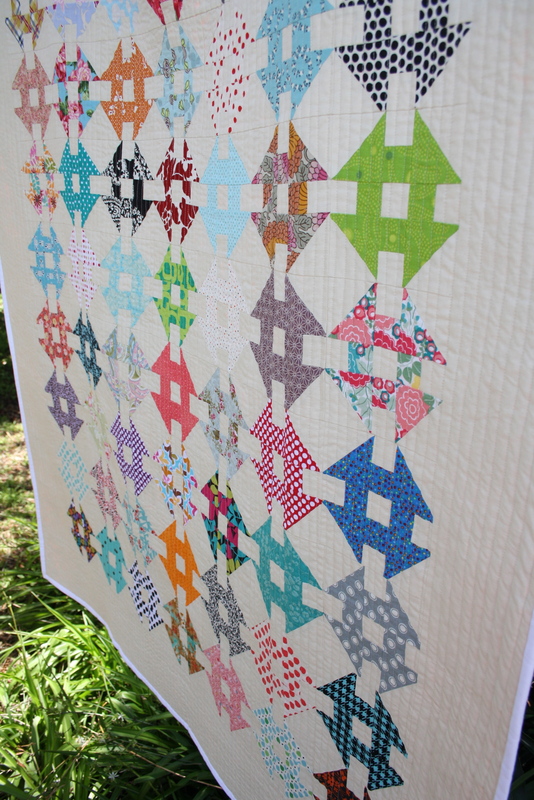 Better known as the Double Wrench Mini Block Quilt (phew what a mouth full! 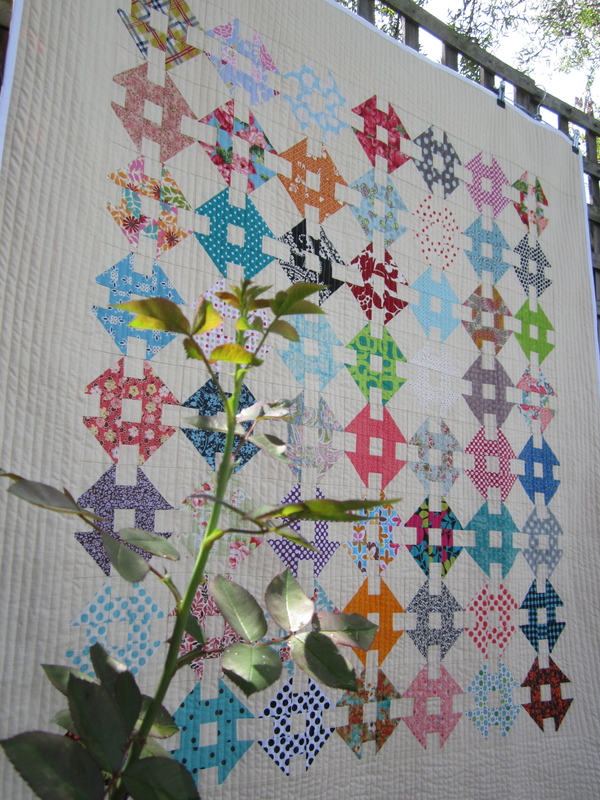 ), I re-named this little treasure The Happy Quilt. 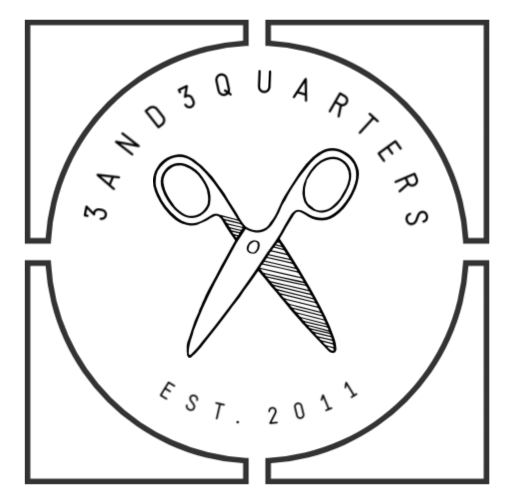 I came about this name while I was quilting it. The thought struck: everything about this quilt just simply makes me happy! The uneven quilting lines (I could never get them perfectly straight, even if my sewing machine depended on it!). The individual characters each little mini block seems to hum. The brave choice of finishing with a white (eek!) binding (I’ll regret that, I just know it!). The fact that I used a lot of my scrap and bulk fabrics up (yippee – that means I get to shop for more fabric!). That a majority of the blocks don’t match or perfectly join up at the seams or points (adds a bit of character I say!). The size of the quilt: perfect as a lap quilt | perfect as a wall hanging | perfect for the bed. I’m happy with the gamble I took on how I quilted it (I was prepared for some major puckering!! ), with my patience and risk-taking rewarded with a brilliantly textured quilt! It quite possibly will be my entry into the 2014 Sydney Quilt Show (we’ll see what happens between then and now!). I’m happy that I simply stuck with it and just got it done. 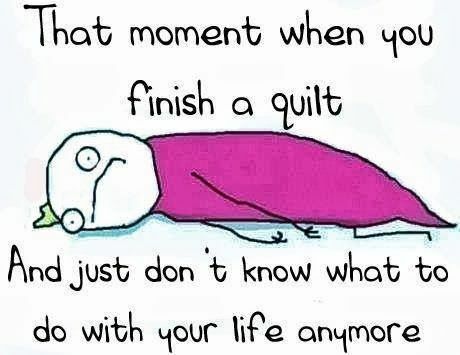 And…the overall me-ness of the quilt just makes me happy (and there’s nothing wrong with that!). 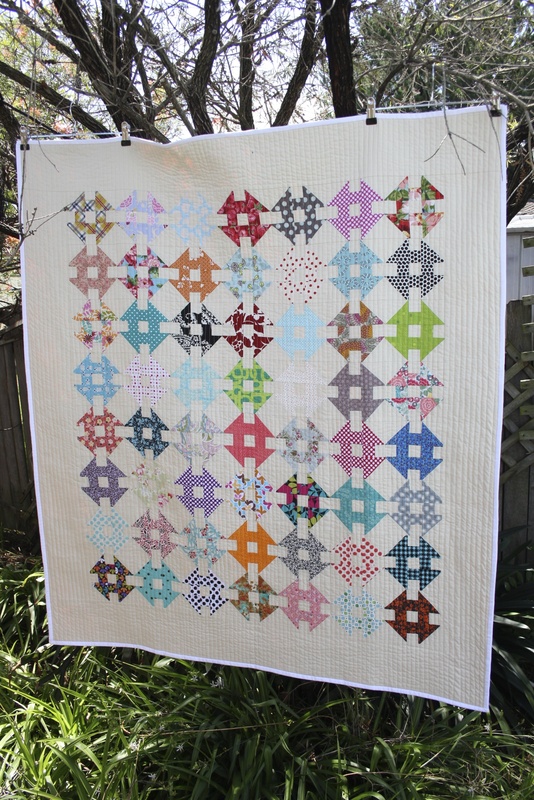 So to sum it all up, I’m just totally smitten with this quilt! If you want to see more of the photos I shot visit this Flickr Set or alternatively, you can watch this video! Nice video and really beautiful quilt!